Well known for it’s superb game viewing, Madikwe Safari Lodge comprises of 3 intimate and exclusive lodges, and is child friendly, offering families travelling a unique experience for the whole family. The three lodges , Lelapa, Dithaba and Kopano comprise of only 20 suites in total – making this game lodge intimate and exclusive. The set- up of the three lodges give a perfect scenario should you wish to stay together as a family or in a small group of friends – allowing the flexibility to experience your safari as you see fit. Honeymooners or couples will enjoy a quieter bush experience in this untainted piece of Wilderness in the Kalahari. Home to the Big Five and Madikwe’s “signature” Wild Dog – game viewing in the Madikwe area is not seasonal, and provides exceptional game viewing all year round. Twice daily game drives in open land rover vehicles allow you to get closer to the raw wilderness than ever before. Game drives are conducted early morning and late afternoon, when the temperatures are cooler, with the option of interactive bushwalks available during the day. Bushwalks are a fantastic way of seeing some of the amazing bird species in the area, and allow you to experience the bush on ground-level. Game viewing in Madikwe is excellent – so keep your eyes open for the Big Five and the elusive wild dog as well as a wide variety of other mammals. Children over the age of 6 years old are welcome to join their parents on the standard game drives and for children between the ages of 2 and 6 years old, family safari drives are provided. These drives are offered just after breakfast, and where possible, Madikwe Safari Lodge attempt to give each family their own private game drive vehicle for this game drive. Children will enjoy going out into the bush with their parents and seeing so many incredible animals. Bush orientations are also offer to children teaching your little ones interested bush skills such as how to find their direction in the bush, how to make fire and which tree can be used as a toothbrush! Children are also taught about animal tracking and will certainly return back home with interesting knowledge to share with their friends. Relax in the afternoon in your private plunge pool overlooking the bush, with a sumptuous bush ( boma) dinner awaiting you in the evening. The word “ Lelapa “ means family in the locak dialect. Designed to be a home away from home, this is a lodge where guests of all ages are welcome. Consisting of 12 Luxury Suites, Lelapa Lodge is situated on the hillside and overlooks the views of the reserve. 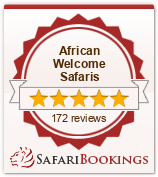 The staff and passionate and dedicated, and will ensure that your safari as a family will be truly unique and memorable. Enjoy the twice daily game drives, or perhaps simply relax in your private plunge pool overlooking the reserve. Situated higher up the mountain, Dithaba Lodge is just a short walk from the other two lodges, with views reaching across the vast open plains. With only 4 Suites, this lodge can easily be booked on an exclusive basis for families or small groups. You will enjoy your own private plunge pool, as well as a gym basket should you have the desire to pump a bit of iron during your holiday. Meaning “ small gathering “ Kopano Lodge comprises of only four suites with a stunning common area offering an intimate and private experience. Top quality cuisine will be served in either the outdoor or indoor dining area, with a crackling fireplace in the indoor lounge for cooler days. Suites are open plan in design and once again, boats a private plunge pool and gym basket for those fitness fanatics.